I’ve been meaning to write this post for many months, and I’m sorry it took me so long to do so. I want to share some general knowledge I learned from Dr. John Heinrich’s PA Adam. In one of my conversations with Adam I asked him why this surgery was so complicated. Adam replied that one of the reasons was because there wasn’t a surgical cutting tool specifically designed to clear/free the sciatic nerve of fascial adhesions or scar tissue. An ideal cutting tool would be specifically designed to get around the sciatic nerve in a 360 degree fashion. I’m proof that an idealistic cutting tool is not necessary to be cured surgically from Piriformis Syndrome. But, the surgeon’s skills and experience are that much more critical. Please do your homework before making a decision to allow a surgeon to perform this surgery on you. You may be asking yourself how things could possibly get any worse if you don’t have surgery. You are desperate, and I totally get that. My heart goes out to you; you are the reason I created and maintain this blog. 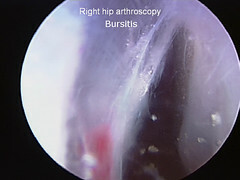 But, please know that there are people (people I have communicated with personally) that have not been cured or are worse off as a result of Endoscopic Piriformis Release and Sciatic Nerve Neurolysis. Please note that none of these unfortunate people I have spoken with were treated by Dr. John Heinrich. There is risk and you have to weigh the reward. I felt the risk was acceptable after doing years of research and exhausting all other options. Dr. John Heinrich was the surgeon for the job, and I thank God nearly everyday for his abilities. Finding a surgeon that has knowledge of (let alone treats) Piriformis Syndrome is particularly arduous. 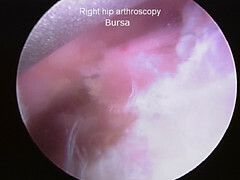 I strongly recommend starting with an orthopedic surgeon that specializes in hip arthroscopy. 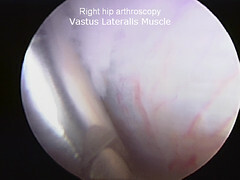 Call his/her office prior to your first visit to ask if the surgeon has proven success with hip arthroscopy with endoscopic sciatic nerve neurolysis and piriformis tendon release. If they don’t (which most won’t) please continue on with your search. Furthermore, and I can’t stress this enough as well, if the surgeon does have proven success with these procedures, ask how many total cases they have performed as well. Eventually I would like to feature a comprehensive list of surgeons that treat Piriformis Syndrome. As of today, I am only listing the surgeon that successfully treated me. I encourage others to recommend a surgeon (using the comments area below) that has successfully treated their case of Piriformis Syndrome. Lastly, for those people searching for a physician I recommend that you do your homework. I get emails from patients of physicians that have had bad experiences, and are worse off post-surgery. Some people plea with me to warn my readers about the physician that failed them. For fear of being sued I will not approve posts which make negative accusations about physicians, nor will I author posts on anyone’s behalf. I pray for those that have had nerve damage as a result of surgery, and for those who were simply not cured. If you wish to share your bad experiences I recommend starting your own blog or posting your story on a physician rating site. This will hopefully give you some peace of mind. I also pray that you get help soon; my heart goes out to everyone living with Piriformis Syndrome pain. I encourage all of my readers to do your own background check of physicians by researching physician rating sites such as: vitals.com, healthgrades.com, and ratemds.com.